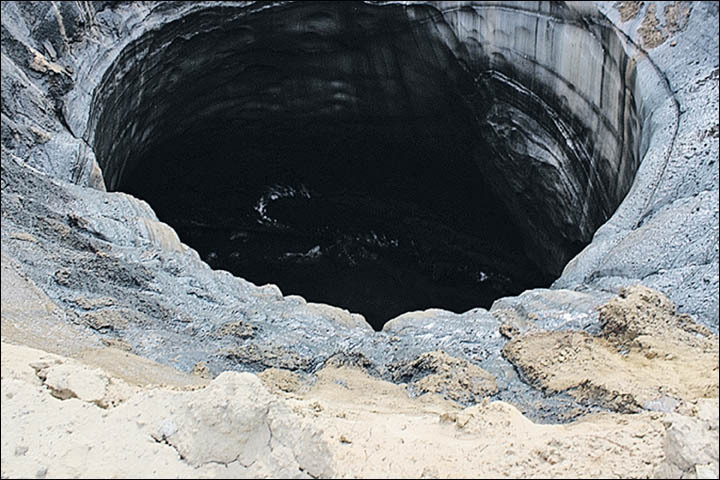 Millions of people around the world glimpsed the first giant hole after it was revealed by The Siberian Times hereand on The Siberian Times TV here. 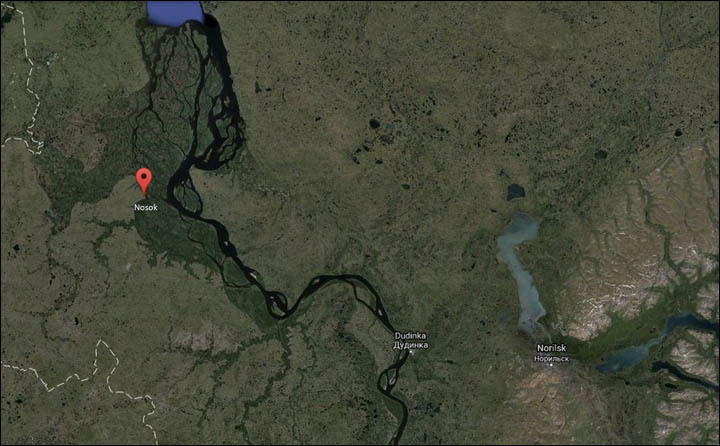 The second is in the Yamal Peninsula - known to locals as 'the end of the world' - like the first. 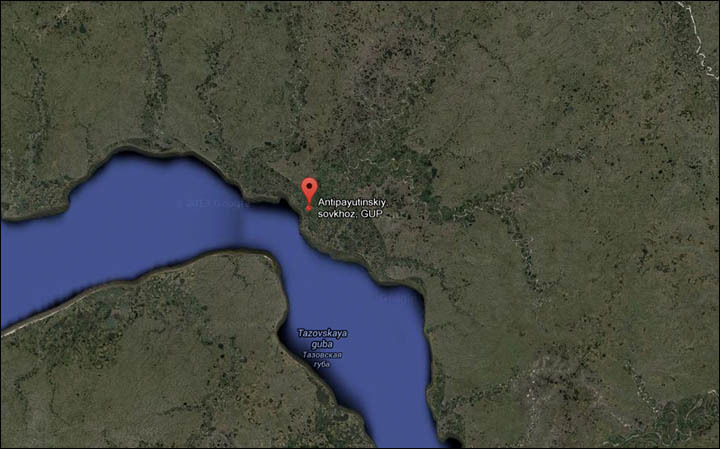 It is some hundreds kilometres from the first, which is close to a huge gas extraction plant at Bovanenkovo. 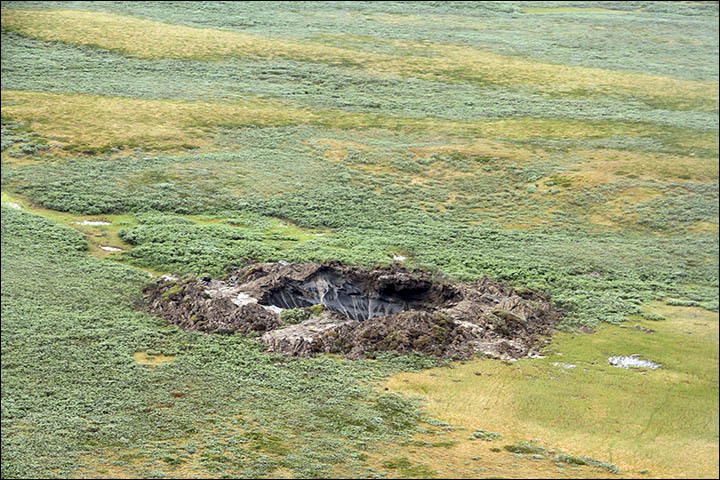 This new crater in the Taz district, near the village of Antipayuta, has a diameter of about 15 metres. 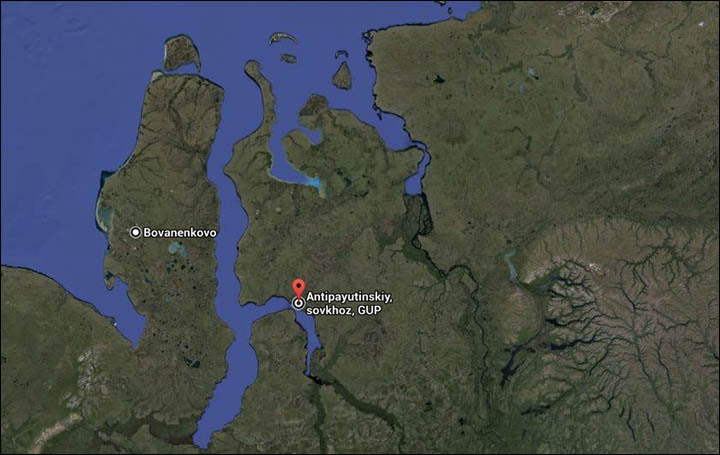 A deputy of the regional parliament - or duma - Mikhail Lapsui has examined this latest phenomenon. 'I flew by helicopter to inspect this funnel on Saturday 19 July,' he said. 'Its diameter is about 15 meters. 'There is also ground outside, as if it was thrown as a result of an underground explosion. 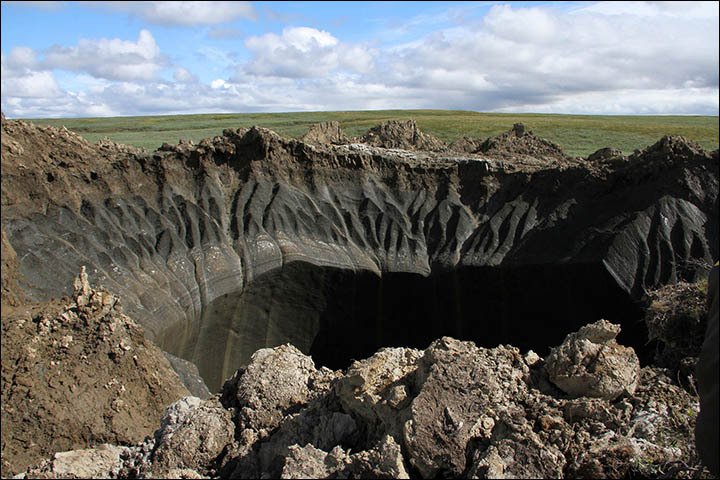 The Chief Scientist of the Earth Cryosphere Institute, Marina Leibman, told URA.RU website: 'I have heard about the second funnel on Yamal, in Taz district, and saw the pictures. The funnel is a perfectly formed cone, say locals who are mystified at how it was formed. Its depth is estimated at between 60 and 100 metres and its diameter - more than four metres. The herders almost fell into the hole which lies on a pasturing route. 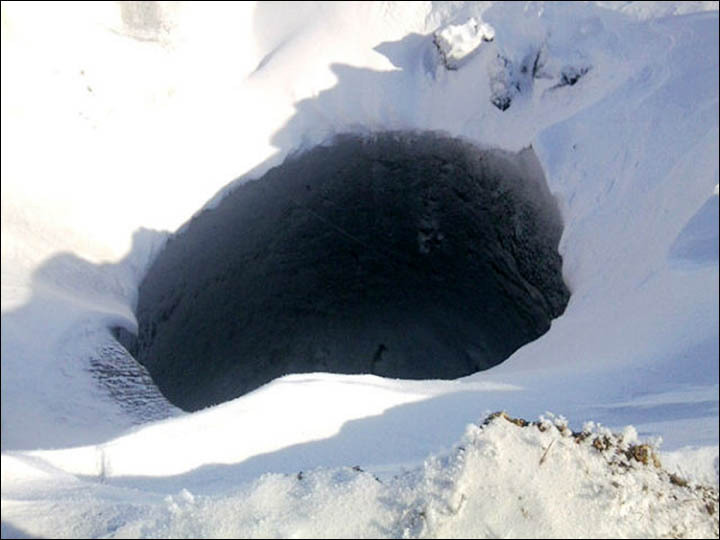 They took pictures of the hole which were sent to scientists at the Norilsk Taimyr Explorers' Club. 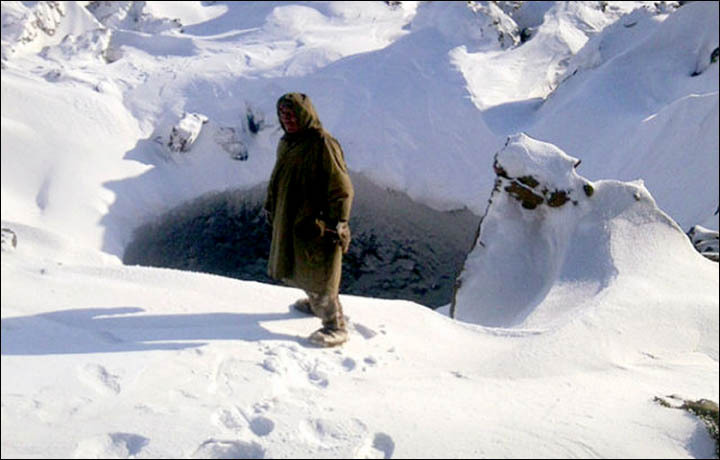 Experts - geologists, ecologists, and historians - have not come to a consensus about the origin of the funnel, say reports in the region. 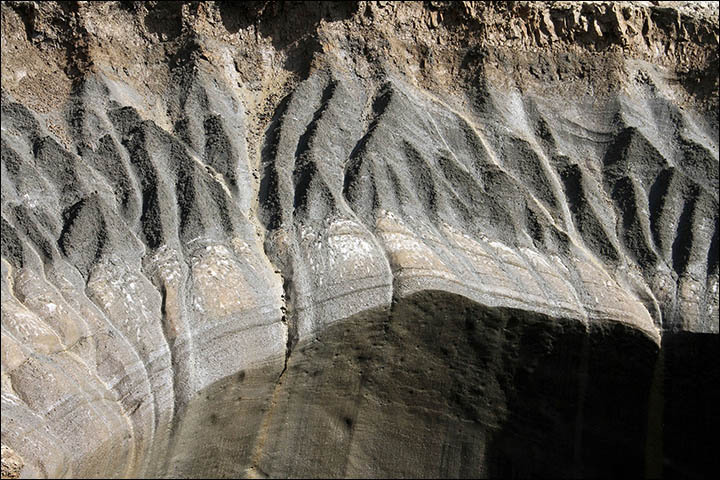 'It is not like this is the work of men, but also doesn't look like natural formation,' said one account.